There ​are many types of traditional foods you might have on the table to bring in the New Year. Some foods may have some type of personal significance whereas other foods have a deep-rooted tradition that spans many countries and centuries. Some of these traditional foods symbolize wishes for steadfastness and prosperity for the New Year. However, if not prepared in a healthy way, consuming some of these foods could result in starting the New Year off sabotaging your lipid-lowering diet. These tips will show you how to make your traditional New Year’s favorites heart-healthy. When in doubt, fresh-cut veggies and fruit can be a healthy—and quick—appetizer to have at a gathering. 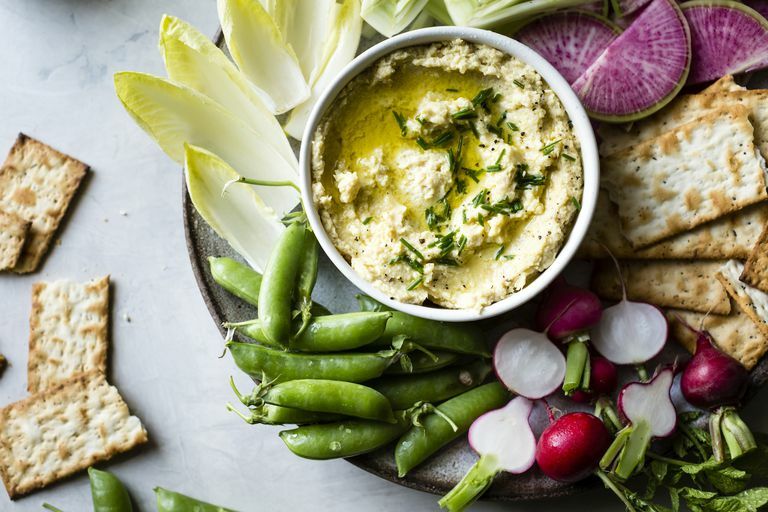 Just make sure that the dips that you use to accompany your crudités are heart-healthy. Salsas and bean dips are a low-calorie, low-fat way to go, whereas creamy dips can add calories and fat to the dish. Crackers, chips, and breads are often used a base for an appetizer—or can also be used for dipping. To make these more cholesterol-friendly, use high-fiber, whole grain crackers or flatbreads instead of white bread or potato chips. Not only will this cut down on calories, it can also cut down on salt and sugar. Symbolizing money, leafy greens such as collard greens, spinach, and kale are often included in foods used to celebrate the New Year. When preparing these healthy foods, you should minimize using butter or cream—both of which can pack on calories to this healthy food. These greens can be prepared in a variety of ways. So whether you lightly sauté your greens in a little bit of olive oil, roast them, or add your favorite herbs and spices, including these delicious veggies are a healthy way to bring in the New Year. The silvery scales on fish look like coins, so consuming fish for the New Year is also thought to instill wealth for the upcoming year. Common fish used in meals for the New Year include herring and cod, although other fish can also be included. Fish are generally lean, and some fish—including herring, anchovy, and salmon—are high in omega-3 fats, which can help keep your triglyceride levels healthy. To keep it heart-healthy, you should not fry your fish and limit your use of creamy sauces. You should watch out for other preparation methods, such as pickling, which could increase your salt intake. Legumes are also commonly included on many plates during celebrations surrounding the New Year. Symbolizing money, consuming legumes for the New Year is supposed to guarantee wealth and prosperity. Including beans, lentils, and chickpeas, legumes have been long known for their heart-healthy benefits. Chock-full of fiber, these healthy foods also contain a variety of vitamins and minerals. Legumes can be prepared in a variety of ways, most notably with your favorite whole grains or vegetables. Pork is thought to represent determination and persistence towards goals for the New Year. Although this protein is considered to be higher in calories and fat in comparison to other meats, this food can be safely included in a cholesterol-lowering diet if prepared correctly. When selecting your pork products, you should select leaner cuts of meat. If there is fat present, you should trim it away before preparing it. This will help lower the calorie and fat content of the food. Roasting, grilling, poaching, and broiling are all healthy ways to prepare your pork cuts. If you want to serve your pork with a sauce, make sure that you serve it on the side to also help cut calories. Additionally, veggies, fruit, and spices can also help liven up your pork dish—without adding a significant amount of calories.